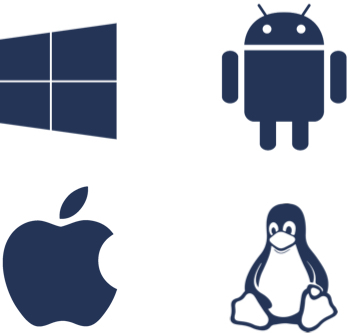 Atakama combines unbeatable ease of use with advanced threshold cryptography to give your files the protection they need that operating systems and cloud storage providers don't provide. 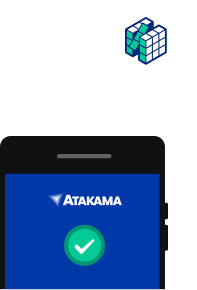 Instead of being asked for a password to access the files in your secure Atakama folder, your linked mobile device will prompt you to approve the files being opened. Just one tap on your smartphone or tablet and Atakama will automatically decrypt the file and instantly launch it on your computer. Protecting data with Atakama is easy. Simply drag-and-drop the files you want to protect inside the secure Atakama folder on your computer. It works just like all of your other folders -- you can even save new files directly inside for instant protection. 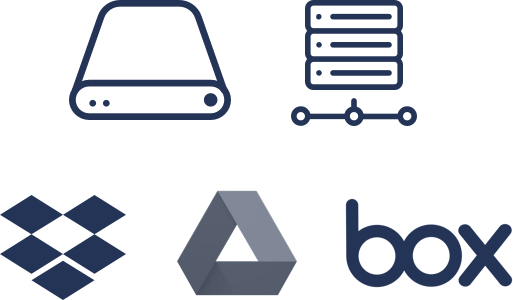 For maximum redundancy, security, and flexibility, Atakama integrates with leading cloud storage providers including Box, Dropbox, and Google Drive so you can safely and easily keep your protected data in sync and encrypted at all times. Atakama effectively eliminates the risk of unauthorized access to data by encrypting files using 256-bit AES before distributing shards of unique keys for each file across more than one physical device. 2-Factor Authentication is a simple way to strengthen a log-in process but has no impact on securing data within a system. Atakama takes full advantage of the processing power of your mobile devices to perform advanced threshold cryptography, keeping data safe and secure at all times. Full Disk Encryption is designed to provide data protection while users are not logged in and using their system. Not only that, all files are encrypted using just one key typically based on the user’s account password creating a single point of failure. Atakama encrypts data at the file level, generating a unique key for each file, and provides active protection at all times. Passwords are great for some things, but not for everything. Especially when password-protected files need to be shared. Atakama eliminates common security vulnerabilities by replacing the need for visible passwords with intuitive software powered by robust cryptography. The two-year implementation period has expired. Regulated companies must encrypt nonpublic files.